From large-scale developments to neighborhood stores, business is booming across Lake and Sumter counties. Formerly quiet “small town” communities are now budding commercial centers. Here is what’s coming for six communities using bold, creative strategies to attract new development. Leesburg leaders see a bright future ahead. Those are words used by city leaders who uniformly agree that Leesburg will enjoy economic success in the coming years. The Villages’ expansion plan certainly will boost Leesburg’s economy. In May 2017, the city sold land on County Road 470 to developers of the country’s largest retirement community to build an estimated 3,000 homes on the land. The influx of new homes and retirees means more jobs in industries such as health care, real estate, and construction. Beyond jobs and economic growth, the retirement community will generate $4.6 million in new taxes for Lake County and $3 million for the city. 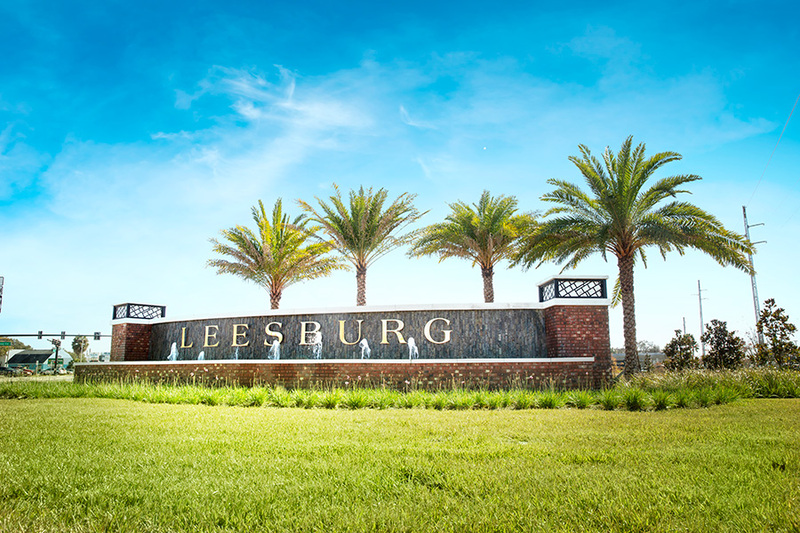 Leesburg officials also have invested millions in restoring charm to Venetian Gardens, once a hub of activity because of its lush landscape, picturesque bridges, and stunning views of Lake Harris. Recently, six wooden bridges were rebuilt and a splash pad was added along with improvements to Ski Beach, including a two-lane boat ramp, a floating dock system, and a kayak launch. Al says several other projects should help fuel the city’s growth: investing in gateways such as the Main Street project, the U.S. Highway 441 landscape project, the corridor improvements on Dixie Avenue; and redevelopment projects such as the Resource Center in Carver Heights. Eustis’ infrastructure investment should keep economy strong. For business owners, that’s an important decision and can be the difference between success and failure. In recent years, Eustis has attracted and retained a healthy mix of start-up businesses, family-owned businesses, and corporate companies such as Tijuana Flats and Panera Bread. That’s great news to Economic Development Director Tom Carrino, who knows the business of attracting new business can be difficult. In addition to bringing in new businesses, city leaders also are boosting the economy through infrastructure investments. Ferran Park, nestled on Lake Eustis, is an example. Through the years, a splash pad and new playground equipment were added, and the park’s historic Alice McClelland Bandshell underwent a façade upgrade. Other public parks also were enhanced. Additional benches, tables, and restrooms were added to Palmetto Plaza, and visitors to Carver Park enjoy remodeled outdoor basketball courts and additional grilling areas. A real treasure awaits skateboarding enthusiasts at Sunset Island Park, the site of the new, one-of-a-kind Eustis Skate Park. It features a pool-like bowl and a street-style course complete with ramps and rails. Festivals also provide a boon to the economy. 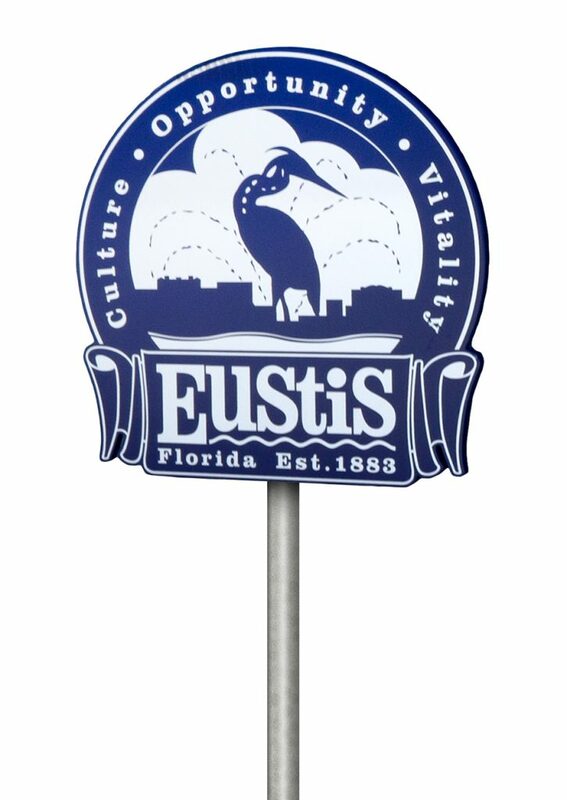 Longstanding events such as Eustis Georgefest and newer ones like the Busker Festival allow first-time visitors to get to know the city’s local retailers, restaurants, and attractions, meaning many make a return visit. “Not only are we coming up with new events, we’re making our existing ones bigger and better each year,” says Kristina Rosenburg, the city’s public relations coordinator. 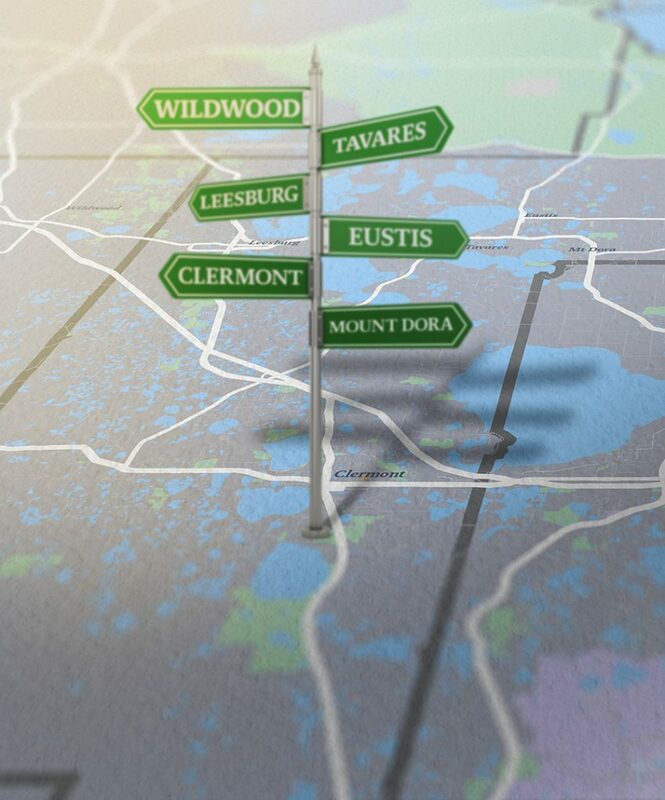 Clermont is on the rise with major projects. With nearly 140 new businesses arriving in 2018 in Clermont, the city’s commercial development is thriving. And the pace will accelerate in 2019. Victory Pointe, the stormwater system and passive park at Waterfront Park, kick-started the city’s $30 million master plan when it opened in 2018. Victory Pointe Condos, under construction next door, mean more residents downtown. Next up, city administrators will focus on the Downtown Waterfront District during 2019-2021, with proposed improvements including streetscapes, landscaping, and the Legacy Loop Trail. The city plans a park at the 8th Street Pier named Meet Us in the Middle Park, marking the center of the state’s new Coast-to-Coast Trail. Long term, Olympus Sports & Entertainment Group unveiled a 250-acre plan in August for South Lake County’s Wellness Way area. The multi-use development will create an estimated 6,000 jobs and generate $1.4 billion in economic impact across 10 years, city administrators say. Look for multi-sport training and competition venues, health and fitness facilities, and a village featuring sports-themed hotels, restaurants, shops, and entertainment. The Olympus team anticipates breaking ground this year, starting a series of five development phases through 2025. Clermont’s rebranding as the “Choice of Champions” in 2013 helped spur this growth, City Manager Darren Gray says. Downtown additions coming this year include Montrose Street Market, a food hall concept with multiple establishments, and Clermont Brewing Company, offering a full-service bar and restaurant with a brewery. Elsewhere, Shoppes at Anderson Hill is expected to open in the spring at 12629 U.S. Highway 27, offering a lifestyle village with retail shops, healthy restaurants, and a Planet Fitness gym. Other projects include: Lakes of Clermont, a skilled nursing facility on Hooks Street; Citrus Tower Park, home to new physicians’ offices; Mind Immersions, a first-of-its-kind virtual reality gaming space, and Mind Masters, an escape room, both on Highway 50. Public investments, quality of life, and new brands in the market are reasons why Clermont is attracting new enterprises, says Economic Development Director Shannon Schmidt. Wildwood is creating its own economic identity. Anyone who wonders whether Wildwood is growing just needs to look at the 500-page agenda packets of the City Commission. It is one of the fastest-growing cities in Central Florida. As thousands of Villages homes are being built along County Road 468, commercial development goes along with residential. In addition to The Villages growth, the city also is carving its own economic territory. 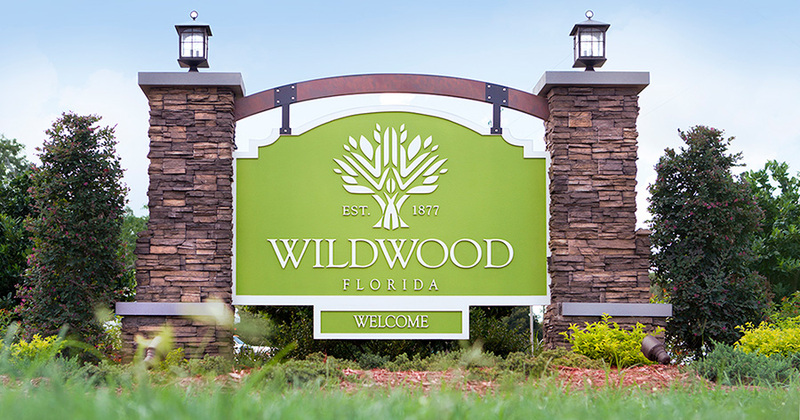 Wildwood’s most distinctive project is Trailwinds Village, a mixed-use development covering 165 acres along County Road 466A. When construction began in 2017, Lowe’s Home Improvement, Aldi supermarket, ABC Fine Wine & Spirits, Circle K convenience store and gas station, and Legacy Lifestyles Senior Housing signed on at the site. More recently, plans are in various stages of review for a Publix and Burger King, Taco Bell, and Wendy’s restaurants, Melanie says. Jersey Mike’s Subs planned a late fall/early winter opening for a shop at the Trailwinds’ 11,760-square-foot retail building. Melanie added these commercial projects also are in the works: Primus Pipe & Tube is adding 148,600 square feet to its building on U.S. Highway 301; O’Reilly Auto Parts on Main Street; Lake Eye Associates on State Road 44; Your Life Senior Living (independent living with support services, assisted living, memory care) at Powell Road and Broken Oak Drive; and Pepper Tree North, a retail complex north of Pepper Tree Plaza on U.S. Highway 301. The city is negotiating two planned developments, Oxford Crossings, a residential/commercial project spanning sites on U.S. Highway 301, County Road 472, and County Road 114, and Triumph South, an affordable housing project on County Road 462. The city also has plans for a residential/commercial project on the Beaumont property west of Trailwinds Village, Melanie says. Most of this activity is orchestrated by the Sumter County Economic Development Department, working closely with Wildwood and other communities via a joint planning agreement. Tavares’ projects are soaring ahead. 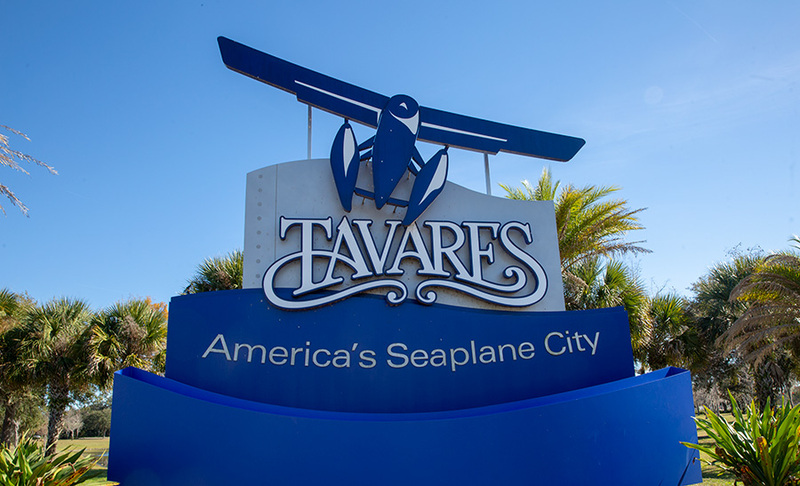 Ever since Tavares branded itself as “America’s Seaplane City,” the city continues to ascend to new heights with projects geared toward providing an economist boost. City Administrator John Drury is pleased the city’s tax roll—taxable value—has already grown 11.4 percent. “Investment in Tavares is strong as evidenced by the medical park growing across the street from the hospital (AdventHealth Waterman) with several new medical buildings, and the hospital is growing its ER room significantly,” says John, city administrator since November 2006. Also, Atwater Apartment complex—within walking distance of the hospital—has sold out Phase 1 and is beginning 240 additional units for Phase 2. Avalon Park Village, a new live, learn, work, and play development with a K-8 charter school approved by Lake County School Board, also is moving forward. “Additional business establishments, including Deli Lama, are opening up in the downtown entertainment district,” John says, along with plans for more housing projects throughout the city. Tavares’ budget for 2019 is $47.5 million. Some of the top capital improvement projects for the year include the Public Safety Complex for police and fire projected to be completed by April, and the rebuilding of the seaplane base on Lake Dora to make it bigger and better. “Planning out the trail from Tavares to Mount Dora and the Golden Triangle YMCA will be completed in 2019,” John says, explaining that the project will be a complete make-over of the Old 441 corridor. A study for the trail project is under way. “Now that’s a challenge, but I’m looking forward to it,” he adds. He’s also eager to plan a sustainable new performing arts center with a black-box theater in the downtown entertainment district, seeing that it is financially viable to build and operate. The city expects to complete the new downtown Ecological Park and Ruby Street makeover project, expand the library, and relocate the historical society. Roadwork remains one of the biggest budget hurdles for the city. Mount Dora is preparing for the future. Mount Dora’s quaint downtown draws visitors near and far to the city’s restaurants, shops, and special events, which draw massive crowds. The influx of people is good for business yet Mount Dora City Manager Robin Hayes says the city has been plagued with public parking woes for a long time, and it aims to address the problem. “The city has purchased land that will be turned into more parking spaces for our visitors and residents,” she says. 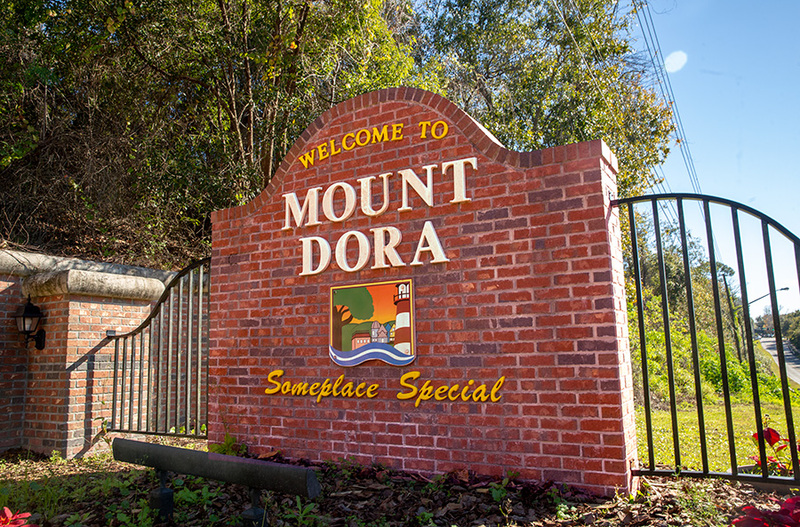 Robin, city manager since September 2016, is pleased an economic plan was developed for Mount Dora’s future. The city recently went before a rating agency to implement long-term growth. She says Mount Dora enjoys growth with the expansion of Waterman Village, an assisted-living facility, and from a growing tech company, Steamroller Studios, in town. The development of the Wolf Branch Innovation District remains one of the city’s biggest projects. Mount Dora and Lake County leaders are jointly developing the employment-based economic development district. They aim to benefit from construction of the Wekiva Parkway and the proposed improvements of State Road 46. To date, the leaders have adopted consistent land use designations to allow for higher-intensity office, light industrial, and retail uses. “We are continuously working to strive for the proper development of Wolf Branch Innovation District to include commercial and residential areas,” Robin says, adding that the infrastructure will include fiber optics in the area. She says the city also wants to implement Wi-Fi downtown. Mount Dora’s overall budget for 2019 is $109.2 million, and Robin says the city has several projects in the works.